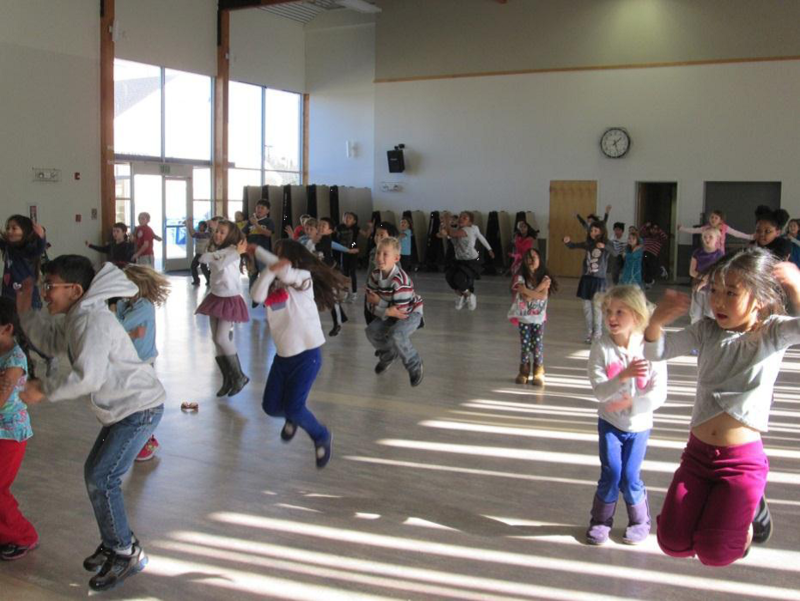 The following guest post written by Susan Hamada, a Pre-K Autism Teacher at Lyndale Elementary in San Jose, discusses how she used a Mathematics Resource Grant from PVF to teach math concepts through dance and movement. I would like to take this opportunity to thank Philanthropic Ventures Foundation and The Heising-Simons Foundation for your wonderful support of the dance therapy program for the preschool autism children at Lyndale Elementary School. Dance is a powerful method for developing the language of math, in addition to helping children mature physically, emotionally, socially, and cognitively. Moving through patterns over time may help us fill in any missing gaps in our neurological development, making it an important tool for autistic children. When we initially began the dance lessons, many of the children needed assistance to participate in the dance class. By the end of their sessions, the majority were able to follow the verbal directions and movements to participate on their own. Some of the parents came to observe the class. By the end of the class, they were joining in and dancing with their child. The dance classes were held at the end of the year, so we were able to review and reinforce the math concepts covered throughout the year. We danced with scarves, ribbons and bean bags, which required the children to count and name the colors. The children also practiced shapes by moving through an obstacle course. My preschoolers derived numerous physical benefits from the use of movement as an educational tool, including body awareness, coordination, flexibility, and spatial awareness. Their cognitive skills were also enhanced through vocabulary-building, creativity, and problem-solving. Finally, they grew socially and emotionally through cooperation with others and a growing sense of self-esteem. The very functioning of the brain itself was enhanced through repetition of specific developmental movements. Movement truly fosters the development of the whole child: body, mind, and spirit. The dance instructor wanted to give the other autism classes the experience of a dance class, so he volunteered to come back the next week to give an additional 30-minute dance class! Thanks to your generosity, 40 preschool and kindergarten autistic children experienced the joy of movement.